Of all the lessons in the food allergy world, I think the #1 lesson is ALWAYS CARRY EPINEPHRINE. Always, always, always. We can read labels all day long, but items are sometimes mislabeled. Cross-contamination warnings are voluntary and trace amounts can slip into foods. Even when we are at our most vigilant, mistakes can be made. New allergies can develop. There are so many scenarios under which you might find yourself needing that life-saving medicine and it needs to be within arm's reach, at all times. 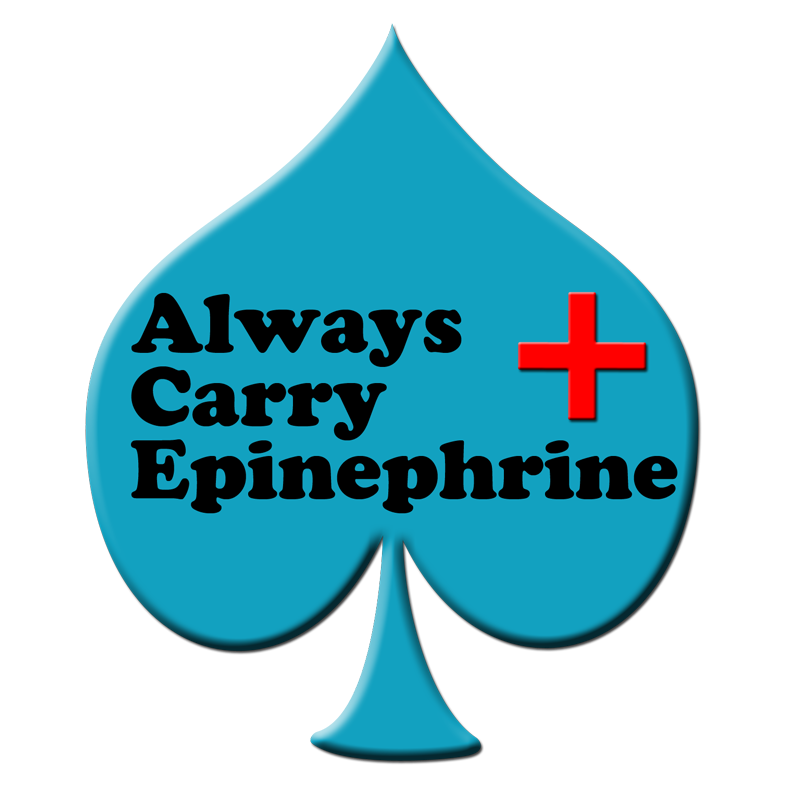 Having epinephrine with you does not mean that you will let your guard down, or stop being ever-vigilant and cautious. It just means that if something happens and an allergen slips past the gates, and leads to an anaphylactic reaction, you will be prepared. It might be a "pain" to carry it around, but consider the alternative. Past reactions are no indication of the severity of future reactions. If you have been diagnosed with a food allergy, or are at risk for anaphylaxis due to a venom allergy, and have been prescribed an epinephrine auto-injector, it was for a REASON. If you believe you have fully outgrown your allergy/allergies, do not stop carrying your epinephrine without first consulting your allergist. Keep that ACE up your sleeve. The Brookline Families with Food Allergies site has an excellent listing with sites that carry EpiPen carriers. This is a great video from One Spot Allergy about their "The Best EpiPen Belt". Also, have a look at my Important Information post, for more information. The most important point on there is that Benadryl (or any other anti-histamine) has no life-saving capabilities! You are so right! Have you seen the "10 Things Children with Food Allergies Want You to Know"